Harrison Lake is a large, quiet lake in the south end of Glacier. After fording the Middle Fork Flathead River, you will find multiple unofficial trail options that all converge upon the remnants of an old homestead. Continue hiking through mixed forest up Harrison Creek for 3 miles, then follow the mint green lake’s shoreline for another three miles. Views of the lake are beautiful all along the hike, and the mountain views at the head of the lake are fantastic. The Middle Fork crossing can be extremely dangerous, especially in the spring. 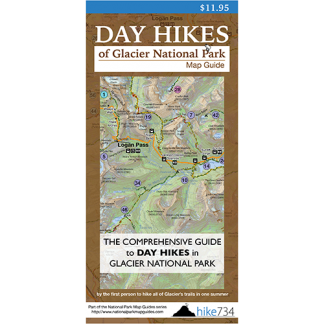 Recommended crossing dates are mid August or later, depending upon snow-pack. If in doubt, do not cross. Trailhead: Park in the pullout just east of mile marker 160. Follow the social trail down to the river, crossing the railroad tracks and ford the river. Once across the river, follow the many social trails to the South Boundary Trail.